Having started as a small business, importing and selling modular automated gates and fencing system for both commercial and residential needs, EasyGate had grown into a successful enterprise providing security and access solutions at a very competitive price across New Zealand. Whatever, worked alongside the management team, embarking on selecting a strong brand name from the group already in use. 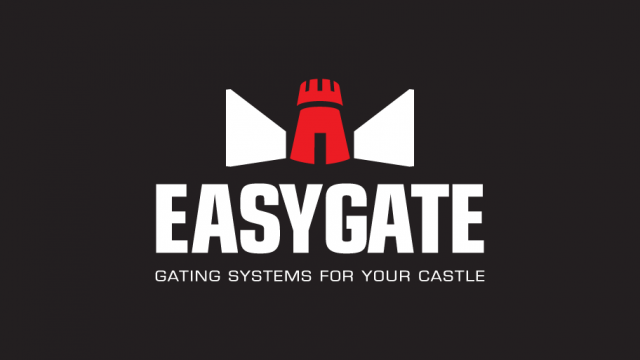 EasyGate approached Whatever with a simple request; rationalise several product / brand positions and names into one clear and professional presented identity. Once again working with a short timeline, Whatever re-crafted EasyGate’s brand logo, visual identity and promotional material in time for the New Zealand National Fieldays in Hamilton. Whatever created display concepts including product layout, site signage, marketing and sales support material with a website revamp. 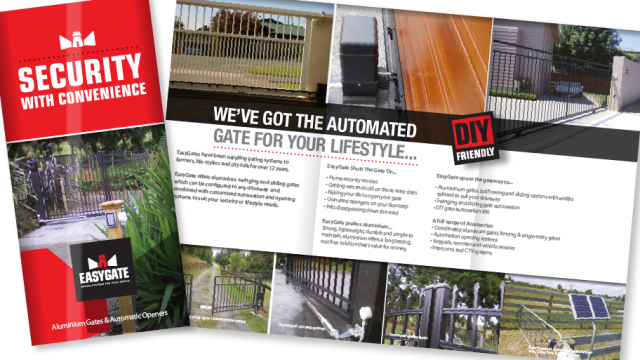 Whatever pulled out all the stops to achieve the desired presentation and results while meeting the deadline. 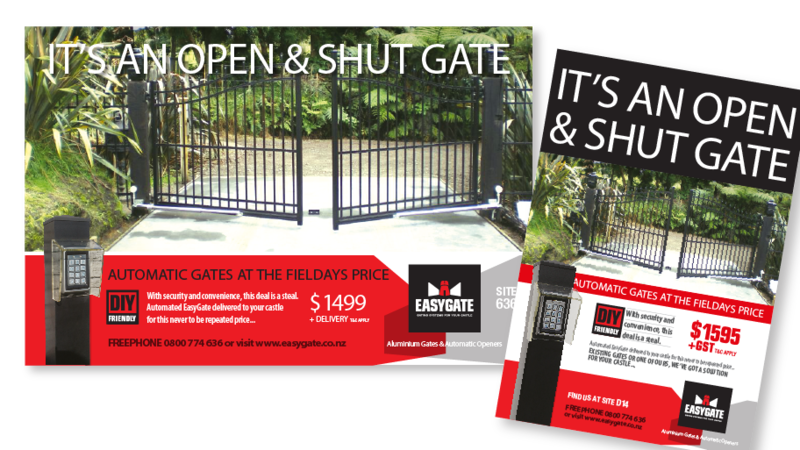 The Fieldays’ launch of the new brand identity and its supporting collateral was a noteworthy success for EasyGate with onsite feedback, exceeding sales expectations, post Fieldays enquiry and sales delivered pleasing results off the back of the rebrand and identity rollout.